Discover five countries on this luxury European river cruise from Amsterdam to Lyon. 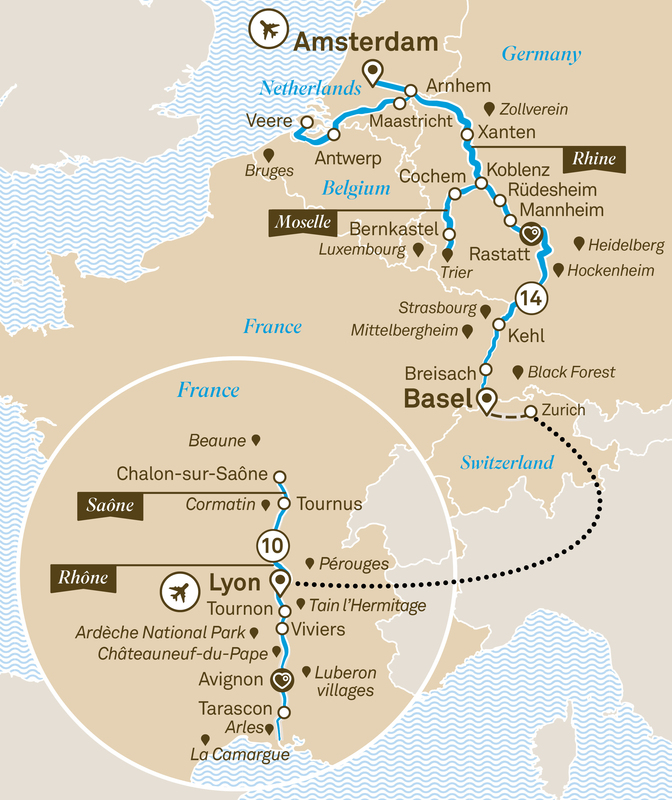 Highlights include Avignon, the Rhine Gorge, Strasbourg and Basel. Today board your included flight and transfer to your Scenic Space-Ship for your Rhine & Moselle river cruise.